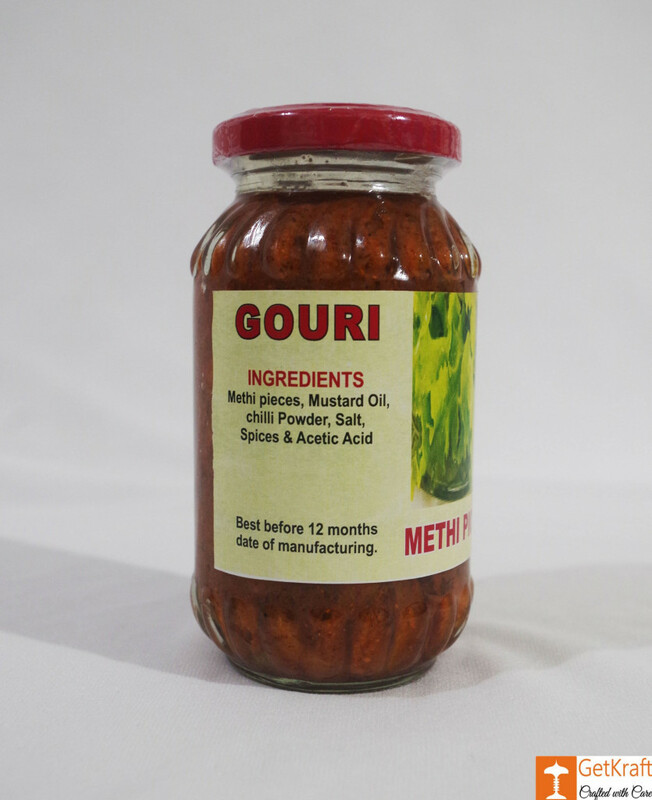 Authentic Fenugreek or Methi Seeds have been used to Manufacture this Product. Have it with rice, roti or paranthas for that Extra flavour and Taste. Made from Fenugreek seeds and has a Mouth Watering Aroma. Fenugreek is a Great Remedy for Dandruff. Consumption of Fenugreek Seeds are good during bowel movements, and aids against Digestive problems and heart burns. Methi is rich in Fiber and Anti-oxidants. Store in a cool and dry place away from light and heat. The Product has been Naturally Preserved. 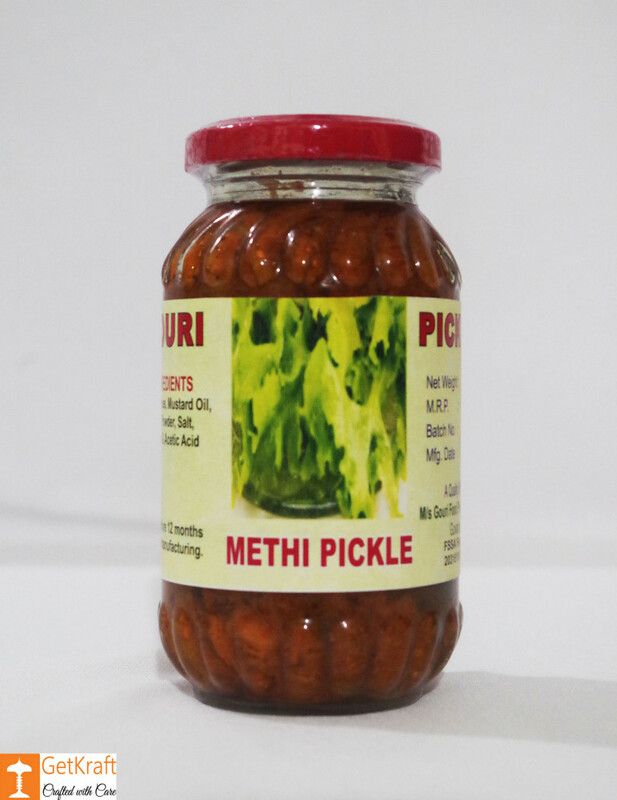 Ingredients: Methi Pieces, Salt, Mustard Oil, Chilli Powder, Spices and Acetic Acid. Fresh Spices have been used. No artificial flavours have been used. Instructions: Retain the layer of oil on top so that the pickle stays fresh. Use a spoon only. Cash on Delivery only Applicable Outside Assam.